Mr Sizlin Rose is a wonderful male with extremely bright fleece, full of high frequency high amplitude mirco bundles. He is very dense with an amazing handle. Several of the top Judges have called him "The Total Package." Sizzy has been breeding for us for several years now and we couldn't be more pleased. He is a wonderful example of the offspring his Sire, Matrix Rose is producing. 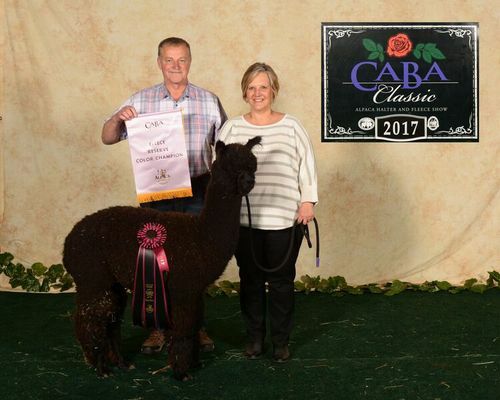 Innsbruck is a True Black male out of Our Peruvian Fashionista, a True Black multi blue ribbon and banner winner. His Sire, Snowmass MR Sizlin Rose is a multi-Color and Futurity Champion. 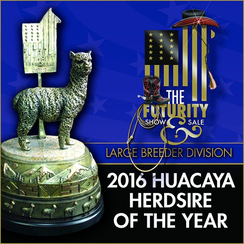 MR Sizlin Rose was also named 2016 Futurity Herdsire of the Year, Large Breeder Division. Innsbruck has well organized, uniform, dense, fine fleece. 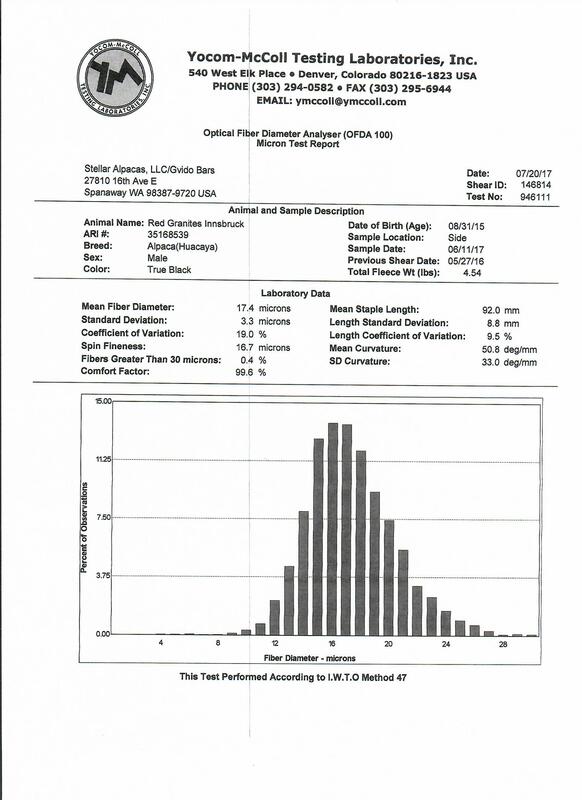 He has high frequency medium amplitude crimp style which extends down his sides and legs. The individual staple structure is made up of smaller well defined staples. Innsbruck's conformation is true and strong with heavy bone structure like all the Sizlin Rose offspring. Take a good look at this male's family tree. 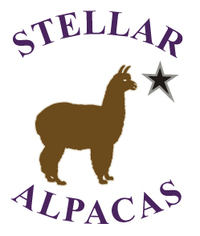 You should recognize numerous Alpacas that are known to produce champions. 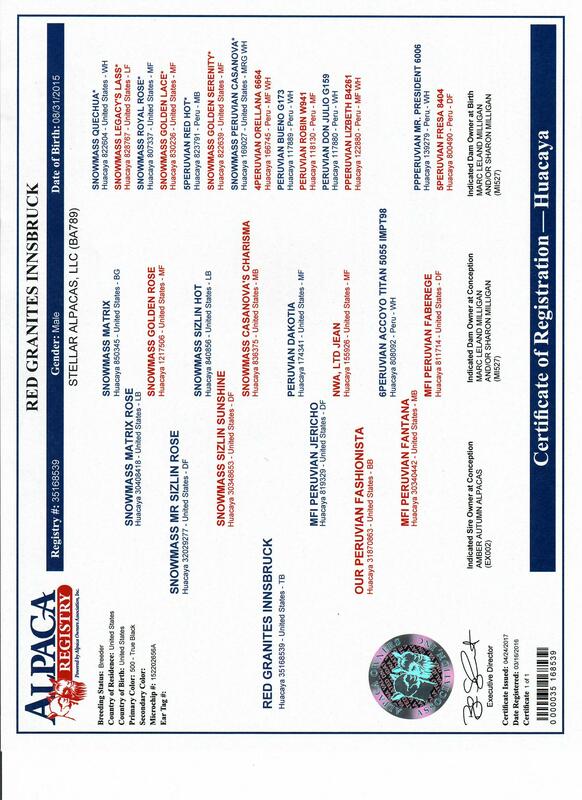 If you are looking for solid dark male for your breeding program, take a look here and start creating your own champions.